Have you ever talked yourself out of playing a good round of golf? These are just a fraction of the excuses that can derail you or hold you back from playing at your peak. 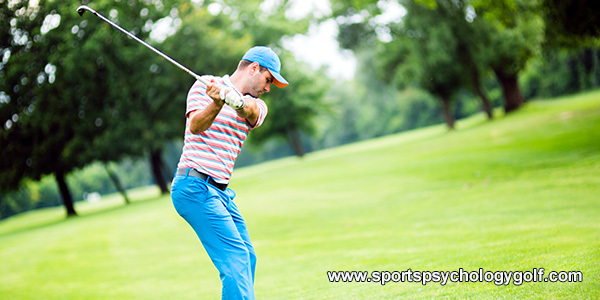 One or two of these excuses can be challenging and alter your game significantly. However, when golfers play the “excuse game,” they are usually all in. It’s not just one or two excuses a golfer throws in their way; it’s a litany of excuses that create an unyielding mental obstacle course. With each excuse, a golfer will come up with several other excuses to justify their stance in the first place. One excuse snowballed into a laundry list of excuses that has talked you out of playing to the level of your abilities. Winning the excuse game will cause you to lose at the game of golf every time. Francesco Molinari, the winner of the 2018 British Open could have easily fallen prey to the “excuse game”. Molinari had never won a major, was paired with Tiger Woods who took the lead during the final round and was competing in windy conditions against a star-studded field with six golfers tied for the lead on the back nine. Instead of finding excuses, Molinari found a way to win by focusing on “his process” and playing bogey-free golf. By focusing on his process, Molinari was able to twice save par with 8-foot putts on the 12th and 13th, take the lead for the first time with a short birdie on the par-5 14th and sink a birdie putt on the 18th hole that made him a major champion. After his victory, Molinari revealed his secret that helped him focus on his process and play more effectively and efficiently. Molinari has learned he has choices on what to focus on: excuses vs. process. You have the same choice every time you play a round of golf. That’s right, you get to choose to focus on excuses (potential reasons you will be off your game)… Or you can choose to focus on “your process” (what you need to do in the moment to be on top of your game). This choice is the most important choice you will make during the round, even greater than your choice of club or how you choose to play your shot. You can choose the right club but if you choose an excuse for why you won’t hit a good shot, you will be off every time. The excuse game is a game that you cannot win. When fabricating excuses the cards are stacked against you and you complicate the game, making an already challenging game even more challenging. If you want to win the battle within, the right choice to make is to focus on “your process”. First, you need to be aware of the excuses you typically make. Review some of your past rounds and see if there are any common excuses that distract you. Next, you need to catch yourself in the act of making excuses when playing. The next step is important. 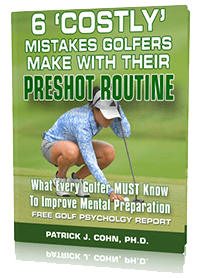 You must know your “process,” including a preshot routine, relaxation strategies, what to focus on, and how to re-focus when your mind drifts. Just like Molinari, enlisting the help of a mental game coach is also a great way to help you improve your process. 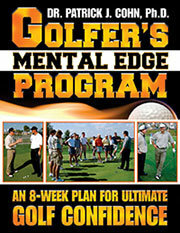 Your choice will be the deciding factor in your golf game.